When it comes to retirement, many pastors are ill-prepared. Unfortunately, not planning well for retirement is one of the biggest money mistakes pastors can make. (Pastors) are looked up to by their parishioners as wise and frugal. Their pay, although modest, is enough to get by on. And they typically are provided with housing during their careers. Yet many find themselves in a financial quandary as they approach or reach retirement, squeezed by challenges that sometimes exceed those of other professionals. Often lacking home equity and a pension, some are struggling to get by and others are staying on the job longer. No home equity – because they’ve lived in a parsonage. No pension or retirement fund – because the church didn’t offer it, and/or they didn’t start their own savings plan (or didn’t start it soon enough). 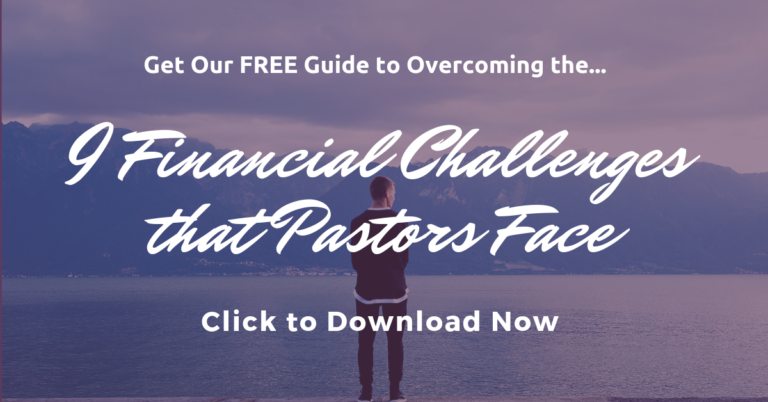 Gratefully, many churches and denominations began to recognize these problems years ago and started offering 403(b) retirement savings funds for their pastors. Some, like mine, even provide matching funds, which really help grow a pastor’s retirement savings. And some churches have encouraged their pastors to buy their own homes in order to build up equity, while taking full advantage of the minister’s housing allowance. 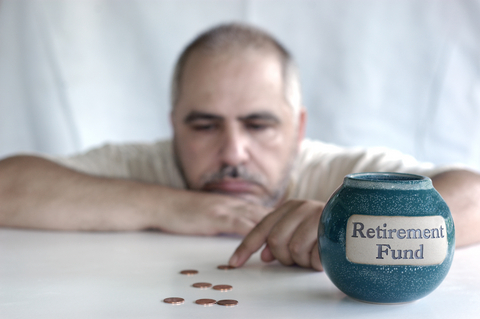 I think it is vitally important for pastors to plan for their retirement. If your church doesn’t provide a retirement plan for you, you need to take matters into your own hands! Do some research, and ask other pastors in your community what their church offers in the way of retirement benefits. Get as much info as you can. Schedule a time to discuss the issue with your board. You might start by talking with your board’s lay leader or treasurer first. Then when you have the meeting, share your concerns about your retirement, the research you’ve gathered, and your thoughts of what you’d like to see happen. Then ask if the board can take a step toward it this year. A great first step for your church is to start a 403(b) retirement plan so that you can begin to contribute pre-tax dollars to it. Ask the church if they will match what you contribute. Several years ago, my denomination, the Wesleyan Church, set a benchmark that all churches should provide at least a 12% match for their pastors, when the pastors save at least 5% of their income in the 403(b). When that benchmark was set, my local church board felt they could not meet it right away, but they made a plan to work toward it over the next several years. If your church can’t offer a 403(b) retirement plan, you can still save for retirement with an Individual Retirement Account, or IRA. And even if your church does have a 403(b) and you’ve made the maximum contributions, you can still open an IRA to supplement your 403(b). There are two types of IRAs: traditional IRA, which offers tax-deferred earnings, and Roth IRA, which offers tax-free growth. You can open an IRA through any bank, credit union, or brokerage. If you’re living in a parsonage, do some research to see if it might be more advantageous for you if you owned your own home and were able to build up equity to use later in life. The key ingredient, when it comes to retirement savings, is time. The earlier you start to save for retirement, the more money you’ll have to live on in your later years. If you’re not as prepared as you want to be for your retirement, what’s one step you can take today? This article was originally published on January 30, 2011 and updated on January 15, 2019.